Incredible operating time of 8 hours at 3200 lumen! Therefore the best solution for inspection, maintenance or construction work. Also, ready to use in case of emergency. No need for power-supply, cables or a transformer. 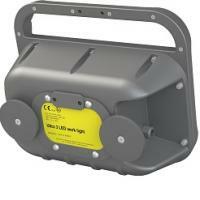 Quick access to hard-to-reach places in an ATEX environment. Designed to be used during cleaning, maintenance or inspection. With a bank of 30 high-power LEDs, the EX LED Tasklight gives you clear, even light output so you can see and work efficiently, practically anywhere. It’s ideal for quick inspections, emergency response work, rope access work and tasks in remote or inaccessible areas. As it’s rechargeable there are no trailing cables to trip over, and a fast recharge time of 1-3 hours gives up to 6 hours use. A versatile ergonomic design means you can hang it, stand it, lie it down or hold it exactly where you need it. 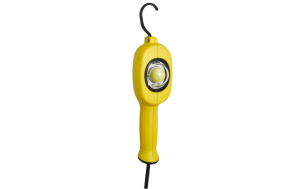 The extremely compact, light and explosion-proof ATEX hand lamp is ideal for illuminating areas that are difficult to access and where inspection and service are necessary. At the same time it fulfills the safety requirements with regard to explosion protection. Three integrated POWER LED modules ensure optimal lighting. Thanks to the integrated diffuser film, a glare-free and pleasant work is guaranteed. Ideal for use as an inspection lamp. The proven explosion-proof standard hand lamp for service and inspection work in areas where safety with regard to explosion protection is required. Optimal and bright illumination of the working areas due to six POWER LED modules. Thanks to the integrated diffuser film, a glare-free and pleasant work is guaranteed. Ideal for use as an inspection lamp. The new, luminous intensive ATEX LED hand lamp KE-LED-EX 5024 supports you with extremely bright and glare-free light when working in explosion-protected areas. The 24 POWER LED modules combined with an integrated diffuser film ensure this. The slim design, the light weight (approx. 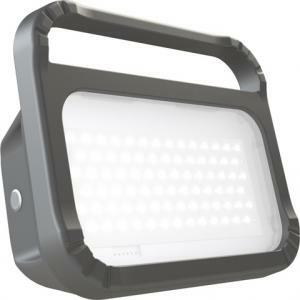 1.5 kg) and the comfortable neoprene handle make it possible to use the light as a classic hand lamp and inspection lamp. The classic, ex-protected fluorescent lamp. Ideal for maintenance and inspection in areas where safety is required with regard to explosion protection. Within the KE-EX 68xx luminaire series you get robust, explosion proof luminaires with different length and power. The model KE-EX 6818 is equipped with a 18 watt compact fluorescent lamp. In addition, the luminaires from this series are optionally available as omnidirectional version (360 ° illumination) as well as through-wired lighting solution. (on request). Extensive accessories complete the diverse range of applications. Within the KE-EX 68xx luminaire series you get robust, explosion proof luminaires with different length and power. The model KE-EX 6824 is equipped with a 24 watt compact fluorescent lamp. In addition, the luminaires from this series are optionally available as omnidirectional version (360 ° illumination) as well as through-wired lighting solution. (on request). Extensive accessories complete the diverse range of applications. Within the KE-EX 68xx luminaire series you get robust, explosion proof luminaires with different length and power. The model KE-EX 6836 is equipped with a 36 watt compact fluorescent lamp. In addition, the luminaires from this series are optionally available as omnidirectional version (360 ° illumination) as well as through-wired lighting solution. (on request). Extensive accessories complete the diverse range of applications. Within the KE-EX 68xx luminaire series you get robust, explosion proof luminaires with different length and power. The model KE-EX 6855 is equipped with a 55 watt compact fluorescent lamp. In addition, the luminaires from this series are optionally available as omnidirectional version (360 ° illumination) as well as through-wired lighting solution. (on request). 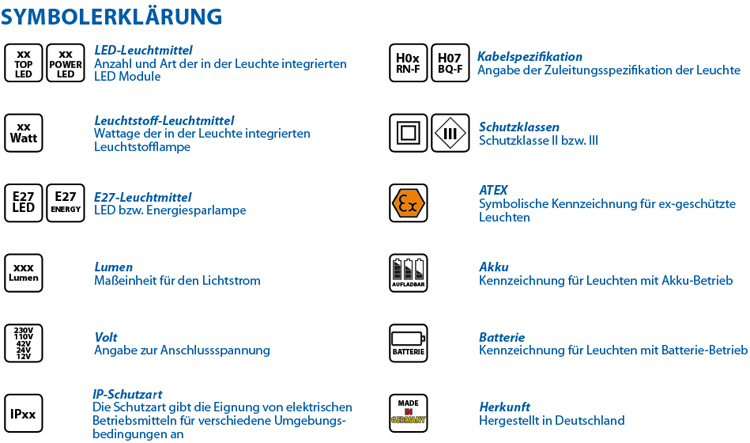 Extensive accessories complete the diverse range of applications. 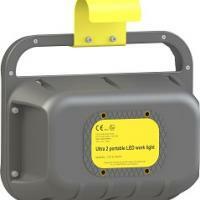 The CorDEX Intrinsically safe lighting range includes the lightweight and rugged hand-portable LED Worklight. 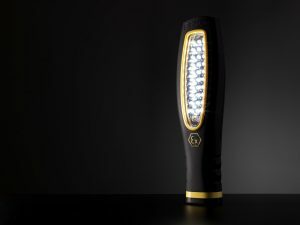 Power, Longevity and Flexibility at your fingertips with the GENESIS, intrinsically safe lighting solutions from CorDEX. ATEX and IECEx certified, GENESIS Intrinsically Safe lighting products are rigorously tested to ensure maximum reliability with power, longevity and flexibility at your fingertips. Using the interchangeable, EXIS™ smart battery pack, GENESIS can remain in the hazardous location as long as you require, providing 400 lumens of light for a virtually indefinite period. There is no need to return to the safe area to charge a battery or replace for a new one, with GENESIS Zone 1 Hot Swap technology, you can replace the battery right there, in the hazardous area, as soon as you need to saving you time and money whilst keeping you safe. ATEX and IECEx certified, GENESIS lighting products are rigorously tested to ensure maximum reliability. The smartEXIS™ power packs have on-board energy level indication, along with a Bluetooth enabled battery diagnostic station providing you with data relating to your battery health, charge state and much more all via a dedicated PC application. The smartEXIS™ powerpacks have on-board energy level indication, along with a Bluetooth enabled battery diagnostic station providing you with data relating to your battery health, charge state and much more all via a dedicated PC application.